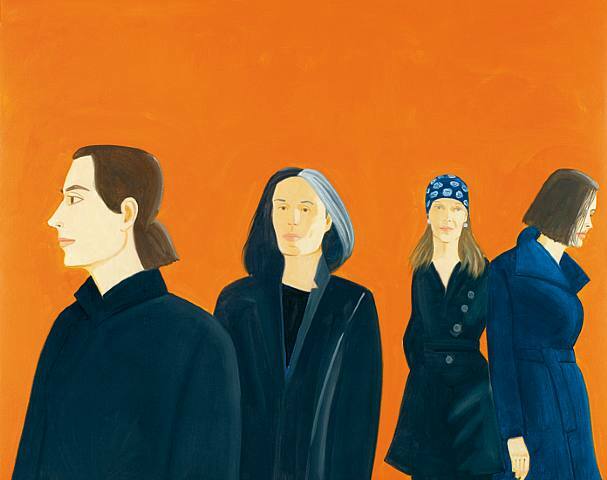 Alex’s Katz’s most recent works, focusing on the world of style, are currently exhibited at the Thaddaeus Ropac Gallery in Paris through February 14th, 2009. Fashion is a recurring theme for the American artist. 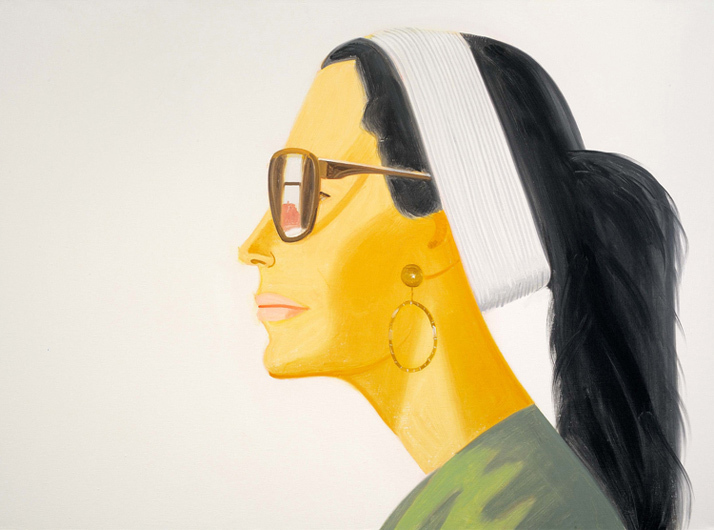 The sitters of Katz’s paintings are not the subjects of his work; they serve merely as a way for him to focus on what is considered glamorous and fashionable. Style thus takes on a dimension of its own in Katz’s work serving as an undeniable catalyst for social commentary. He paints people that he often encounters in his circle such as celebrities, models, actors, and artists as well as his long time muse and wife, Ada. The artist’s interest in fashion stems from his father’s influence that encouraged him to observe groups of people. Another source of inspiration are the woodcuts produced by Japanese artist Kitagawa Utamaro (1754-1806). Katz also refers to various other art forms such as music, film, poetry, photography, and dance. He appears to almost choreograph his figures into unconventional forms; figures are often depicted more than once within a painting and are usually cropped as one would find in a photograph. 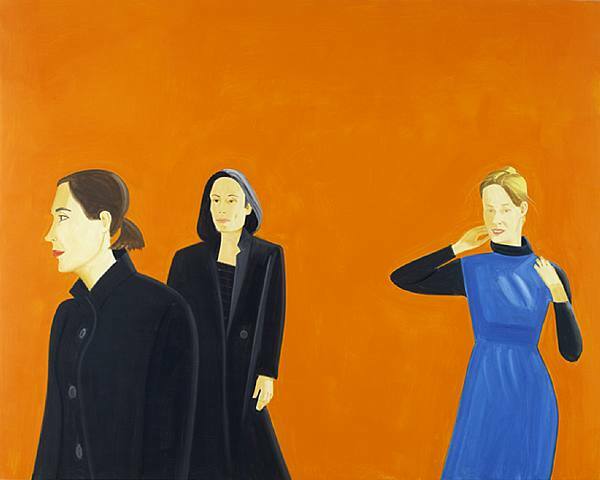 Alex Katz was born in 1927 in Brooklyn, New York. He first studied painting at Cooper Union in New York from 1946 to 1950 and then at the Skowhegan School of Painting and Sculpture in Maine. He is usually categorized as belonging to the Pop generation of Any Warhol, Jasper Johns, and Robert Rauschenberg, however his work was not exhibited internationally until the 1970s. Since the 1980s he has been referred to as an artist of the “Cool Painting” movement reportedly influenced by the musical “coolness” of American jazz muscians such as Miles Davis and Stan Getz to inspire a new style in American painting. 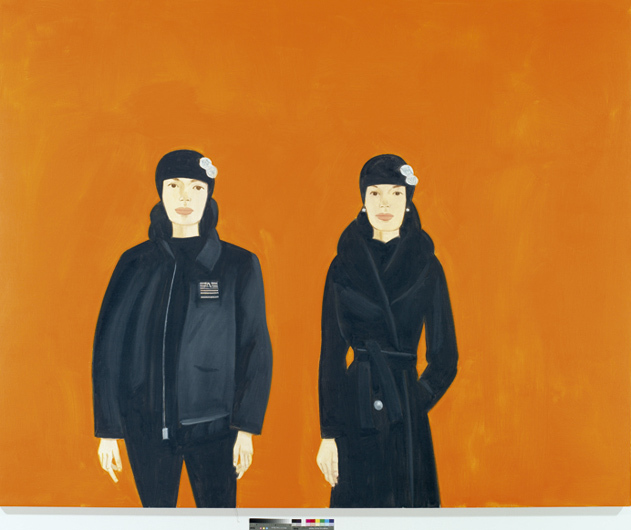 Katz’s works are now exhibited internationally at major museums and collections such as the Modern Museum of Art in New York, the Metropolitan Museum of Art in Toyko, Tate Modern in London, Centre Pompidou in Paris, and the Reina Sofia in Madrid. This entry was posted on Friday, January 30th, 2009 at 2:38 pm	and is filed under Go See. You can follow any responses to this entry through the RSS 2.0 feed. You can leave a response, or trackback from your own site. I thought about e-mailing you to suggest this, actually. It seemed like something that would become a Go See.